One OK Rock gained a following overseas for its clever weaving of English and Japanese lyrics seamlessly into music. Headed by vocalist Takahiro Morita, the band was founded in 2005 when he recruited some of his high school friends. They went on to become extremely successful and prolific, touring internationally and releasing many albums. Their most recent work, 35xxxv, is their seventh public album since their formation ten years ago and was released on Febuary 11th of this year. One of the very fascinating and appealing elements of One OK Rock’s sound, as I mentioned, is Taka’s use of both English and Japanese lyrics in his songs. This is handled far differently than most other artists, as instead of the occasional phrase there will be entire verses in English. Choruses will also often be half and half, and the transition between languages is so smooth that it often takes a moment for first time listeners to realize that the lyrics have changed. Takahiro himself is native to Japan, which makes his English lyrics not only more impressive, but also difficult for him to perform. On top of this, there is a great improvement from the first album to 35xxxv, as now the English portions have been so well perfected that One OK Rock can easily be mistaken for having an English vocalist at moments, and the quality of Takahiro’s voice is quite impressive even putting his multi-lingual lyrics aside. 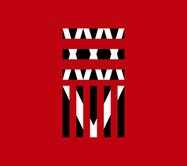 One OK Rock has always been a rock band, but their sound has evolved over time, and 35xxxv has by far the most sophisticated and diverse set of songs out of all their albums. Whenever I buy a decent album, I always think highly of the sound quality at first, but over time my opinion adjusts as the ‘new’ feeling goes away, and unlike other albums, 35xxxv has changed very little in my mind in terms of quality since the beginning, and that is because of the wonderful artistry present both in the songs individually and the cohesive flow of the album as a whole. Occasionally, tracks will quite literally bleed into each other, and one will more or less pick up where the other left off. However, it’s not just in those moments that the music feels like that, because even when the tone of the next song is substantially different it still has a feeling of belonging there, right after the other completely different track. So why is it that the album has such a flow to it? One OK Rock did something that few other rock bands seem to be able to do sometimes: they managed to produce different types of sounds in different songs while still keeping a relatively similar style throughout. The louder, more energetic songs like Take Me To the Top are significantly different from Heartache while still maintaining a high level of sound quality (there are hardly any ‘throw-away’ tracks present in the entire work), and this difference manages to keep the album fresh because the songs all have separate identities and don’t start to sound the same after a while. If there was one complaint I had about the album, it would be that the second half is most decidedly the stronger half. While variety keeps consistently varied, some of the tracks aren’t quite at the same level, and the band occasionally falls into the silly rock/metal trap of adding unnecessary harsh vocals. However, that’s not to say that any one part is worse: Stuck in the Middle, the second to last song on the disc, is one of my favorites. In fact, several of my favorite songs were not released prior to the album in singles (something that a lot of bands tend to do), which would have cheapened the value of the whole album otherwise. Best Feature(s): Variety of sounds, cohesive flow between tracks, and plenty of album-exclusive quality songs. Worst Feature(s): A couple of dull songs, some unneeded harsh vocals. Absolutely. If you are a fan of bands such as Simple Plan or Thirty Seconds to Mars, or just a rock/j-rock fan in general, I cannot recommend this album enough. 35xxxv was released on February 11th, 2015. It is both available physically via sites such as Amazon and digitally on popular platforms such as iTunes (which is cheaper). Author’s Note: Although this album came out several months ago, I only just got around to discussing it because of school work. This is just one of a series of Japanese albums released this spring that I plan to review, stay tuned this summer for more from Ani-TAY Music.